President Xi Jinping is all set to become China's leader-for-life as the country's rubber-stamp parliament prepares to amend the Constitution to remove decades old two-term limit for the president on Sunday. President Xi Jinping is all set to become China's leader-for-life as the country's rubber-stamp parliament prepares to amend the Constitution to remove the decades-old two-term limit for the president on Sunday. Ahead of the vote by about 3,000 deputies in the National People's Congress (NPC) - China's legislature - on the amendment to remove the term limit for the President and Vice President, the seven-member Standing Committee - the top most body of the ruling Communist Party of China - has unanimously approved the amendment. The NPC regarded as the rubber stamp Parliament for its routine approval of CPC proposals is expected to approve it with an overwhelming vote without a hitch. The term limits were being followed by the party leaders for over two decades to avert a dictatorship on the lines of party founder Chairman Mao Zedong and to ensure collective leadership in the one-party state. The constitutional amendment will remove the hurdle for 64-year-old Xi to become the leader of China for life. He is currently in his second five-year term and due to retire in 2023 under the current two-term system. Xi is already regarded as the most powerful leader of China after Mao as he held the posts of head of the CPC, the military, and the Presidency, which is mostly ceremonial. The NPC was also expected to endorse another draft constitutional amendment to enshrine Xi Jinping Thought on Socialism with Chinese Characteristics for a New Era in the fundamental law. This would make Xi the only leader after Mao and Deng Xiaoping whose thoughts were written into the Constitution. It would place him above the rest of the leaders of the party. The thoughts of two of Xi's predecessors were mentioned in the Constitution but not their names. 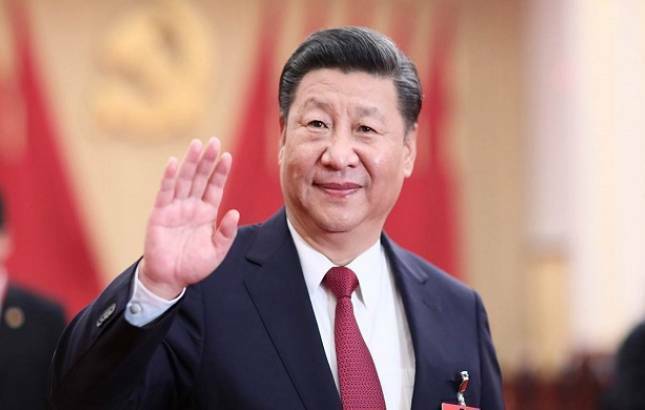 The draft suggests Xi Jinping Thought be juxtaposed with Marxism-Leninism, Mao Zedong Thought, Deng Xiaoping Theory, and the Theory of Three Represents as a new guiding theory in the preamble of the Constitution. Scientific Outlook on Development is also proposed to be constitutionalised this time, according to the official media.